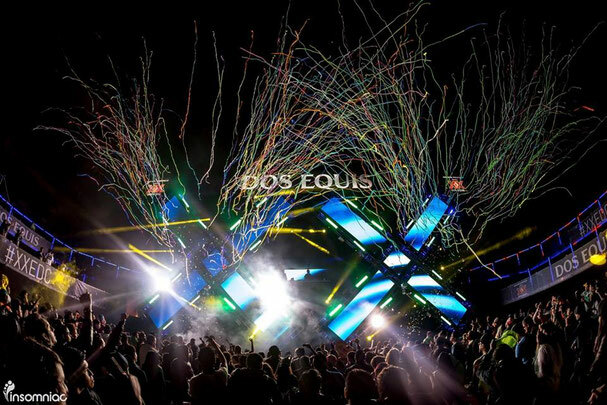 Seguimos con nuestra cobertura previa a la cuarta edición de EDC México y en esta ocasión te presentamos el soundtrack del Dos Equis Stage. Este escenario presenta lo mejor del talento nacional e internacional, hablando de actos emergentes. Podemos escuchar música para todos los gustos en este escenario y que mejor que apoyar al talento joven. Te dejamos lo mejor del Dos Equis Stage para EDC 2017. I don't even understand how I ended up here, but I thought this post was once good. I do not recognise who you're however definitely you are going to a famous blogger for those who are not already. Cheers! Fantastic items from you, man. I have take note your stuff prior to and you're just extremely wonderful. I really like what you've received right here, certainly like what you are stating and the way in which you say it. You are making it entertaining and you still take care of to keep it smart. I can not wait to learn far more from you. That is really a great site. It's remarkable to go to see this site and reading the views of all mates concerning this article, while I am also keen of getting experience. I'll immediately seize your rss feed as I can not to find your email subscription link or newsletter service. Do you have any? Please permit me understand in order that I could subscribe. Thanks.